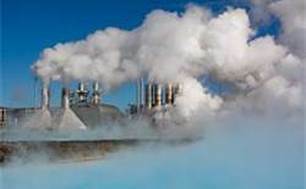 In 1981 at a project in Imperial Valley, California, Ormat Technologies established the technical feasibility of the third traditional variety of massive-scale industrial geothermal energy plant: binary. The project was so prosperous that Ormat repaid its loan to the Department of Power (DOE) inside a year. Binary geothermal plants have made it possible to generate electrical energy from geothermal resources decrease than 302°F (150°C). This has expanded the U.S. industry’s geographical footprint, particularly in the last decade. This entry was posted in Geothermal Power Plants and tagged geothermalworldwide by Aaron Bryant. Bookmark the permalink.